Log-in your William Hill account or, if you’re new to William Hill, Join Here. Pick the winners of the seven races. It's FREE TO ENTER and it pays in cash! 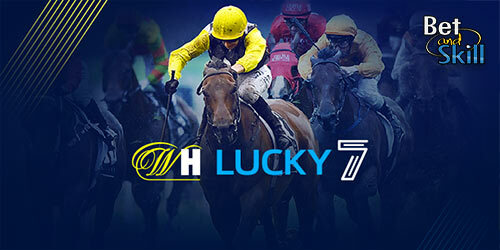 Check out how you're doing on the William Hill Lucky 7 Leaderboard. It will update shortly after the first race and in real time throughout the game. *If the jackpot isn’t won then the top entry will win £1,000! Should a race be cancelled or abandoned then the jackpot prize is reduced to £5000 and there is no consolation prize in this instance. Open a new account with William Hill here! "William Hill Lucky 7 FREE Tips and Predictions. Copy & win!"